Power analysis is an overlooked and underreported aspect of study design. A priori power analysis involves estimating the sample size required for a study based on predetermined maximum tolerable Type I and II error rates and the minimum effect size that would be clinically, practically, or theoretically meaningful. Power is more often discussed within the context of large-N group designs, but power analyses can be used in small-N research and within-subjects designs to maximize the probative value of the research. In this tutorial, case studies illustrate how power analysis can be used by behavior analysts to compare two independent groups, behavior in baseline and intervention conditions, and response characteristics across multiple within-subject treatments. After reading this tutorial, the reader will be able to estimate just noticeable differences using means and standard deviations, convert them to standardized effect sizes, and use G*Power to determine the sample size needed to detect an effect with desired power. Fechner, G. T. (1912). Elements of psychophysics (H. S. Langfeld, Trans.). In B. Rand (Ed. ), The classical psychologists (pp. 562–572). Retrieved from http://psychclassics.yorku.ca/Fechner/ (Original work published 1860). Simmons, J. P., Nelson, L. D., & Simonsohn, U. (2013). Life after p-hacking. 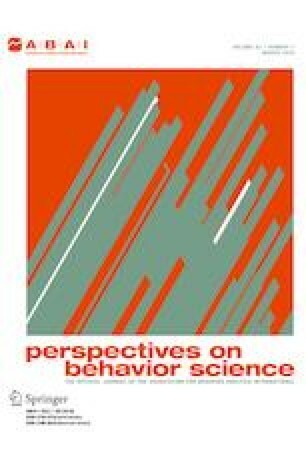 Meeting of the Society for Personality and Social Psychology, New Orleans, LA, January 17–19, 2013. Available at SSRN: http://ssrn.com/abstract=2205186 or doi: https://doi.org/10.2139/ssrn.2205186.